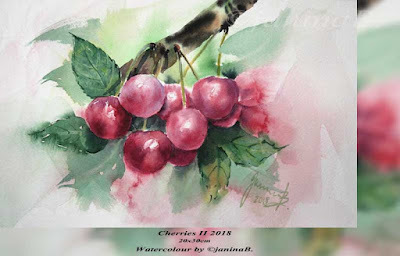 Cherries III 2018 / 30x40cm Watercolour by ©janinaB. 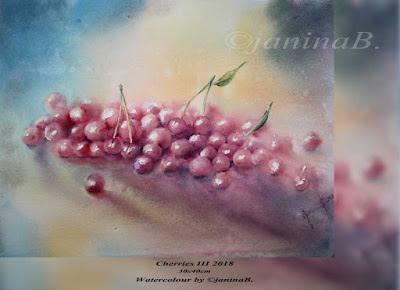 Cherries II 2018 / 20x30cm Watercolour by ©janinaB. 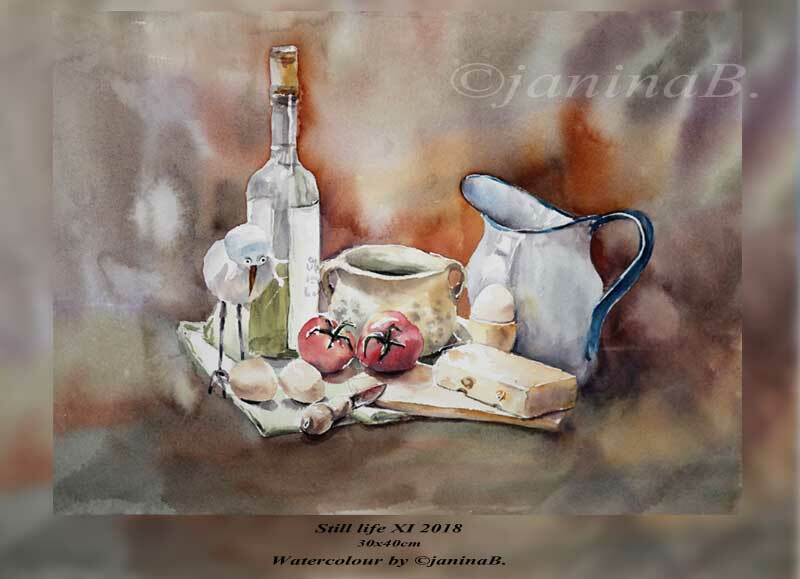 Still life XII 2018 / 36x48cm Watercolour by ©janinaB. 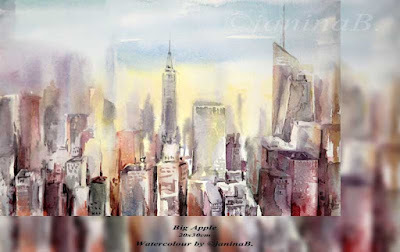 Big Apple / 20x30cm Watercolour by ©janinaB. Ich mag nicht mit der Maske arbeiten, deswegen betrachte ich das Bild als ein Aquarellskizze. 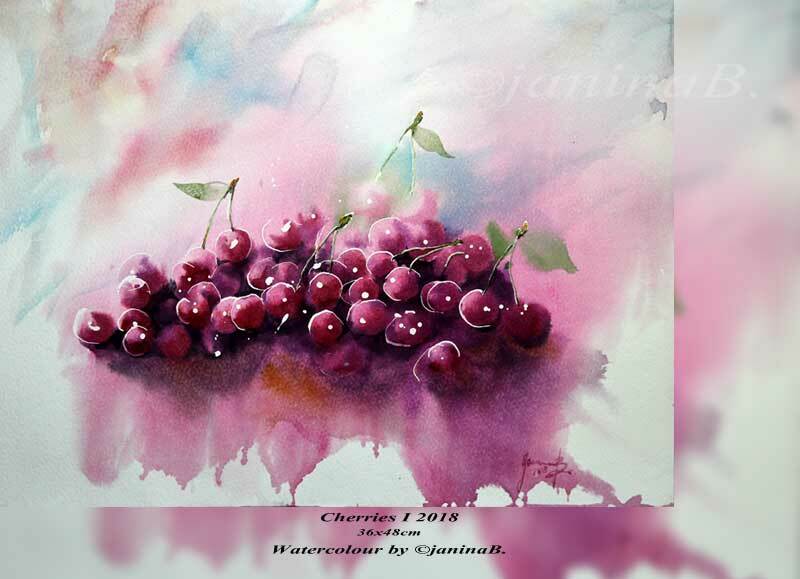 Es muss machbar sein die Kirschen ohne Maskierung zu malen und das werde ich auch versuchen. 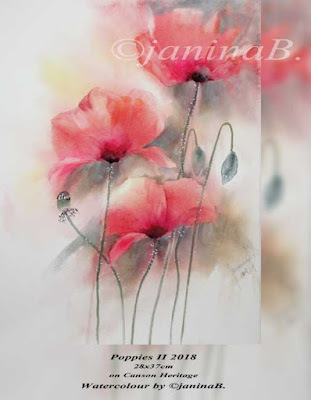 Gemalt nach langer Zeit auf Zellstoff. my magic garden II 2018 / 28x38cm Watercolour by ©janinaB. 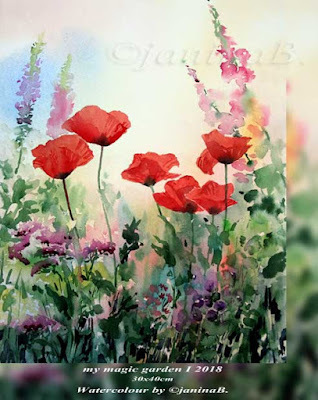 my magic garden I 2018 / 30x40cm Watercolour by ©janinaB. 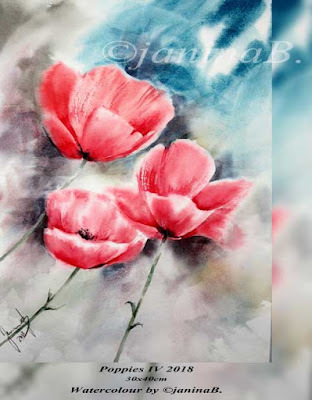 Poppies V 2018 / 30x40cm Watercolour by ©janinaB. 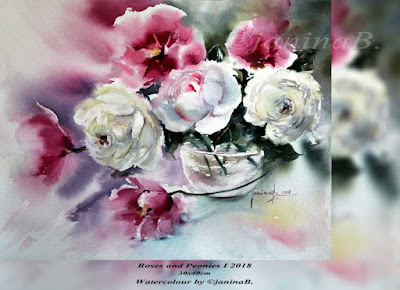 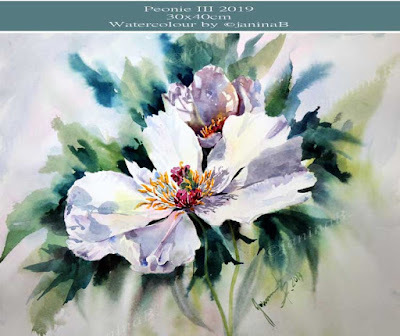 Roses and Peonies I 2018 / 30x40cm Watercolour by ©janinaB. 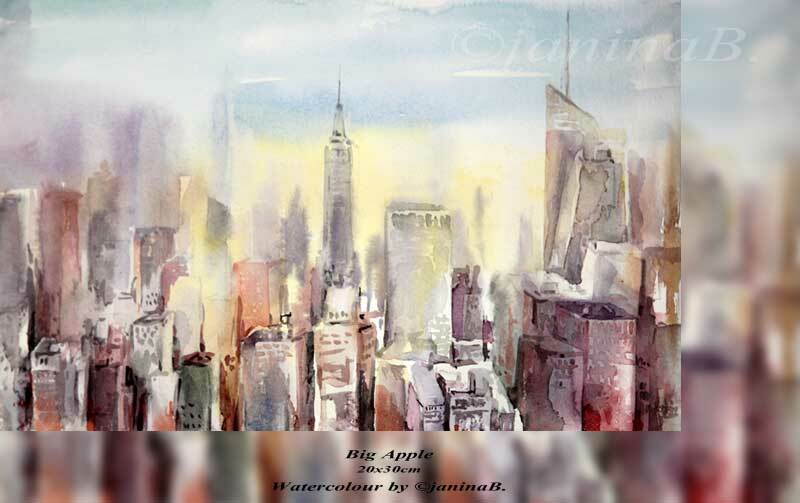 CityView I 2018 / 30x40cm Watercolour by ©janinaB. 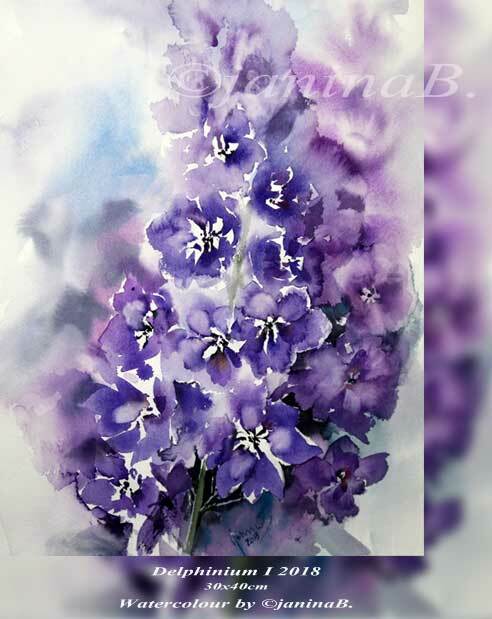 Delphinium I 2018 / 30x40cm Watercolour by ©janinaB. 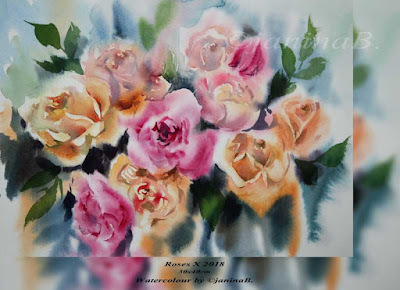 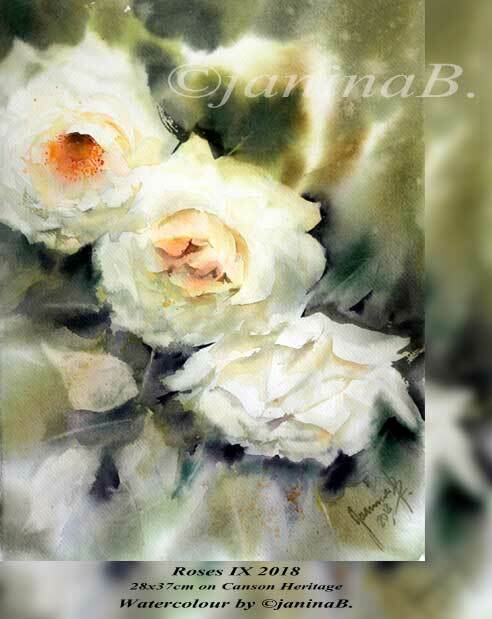 Roses X 2018 / 30x40cm Watercolour by ©janinaB. 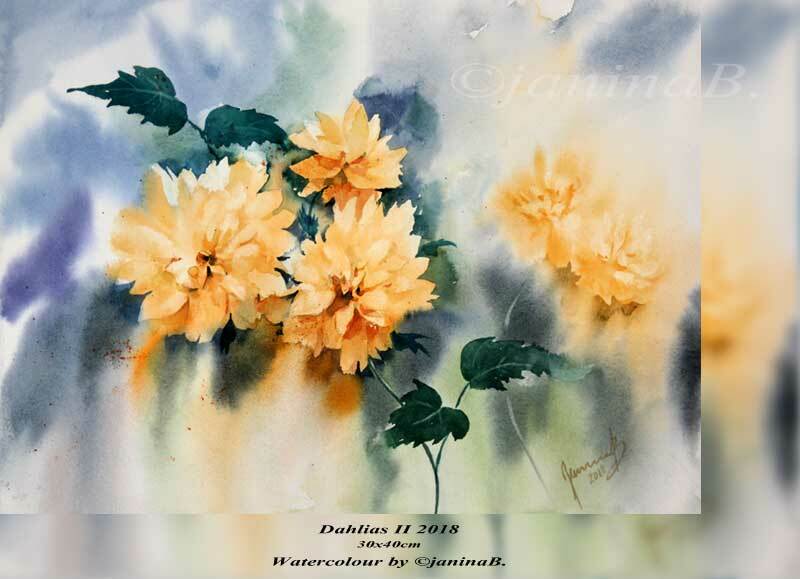 Dahlias II 2018 / 30x40cm Watercolour by ©janinaB. Poppies IV 2018 / 30x40cm Watercolour by ©janinaB. Roses IX 2018 / 28x37cm Watercolour by ©janinaB. 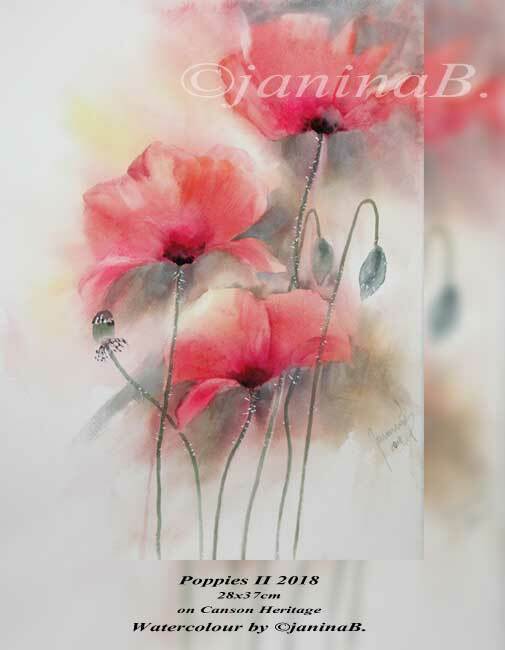 Poppies III 2018 / 30x40cm Watercolour by ©janinaB. 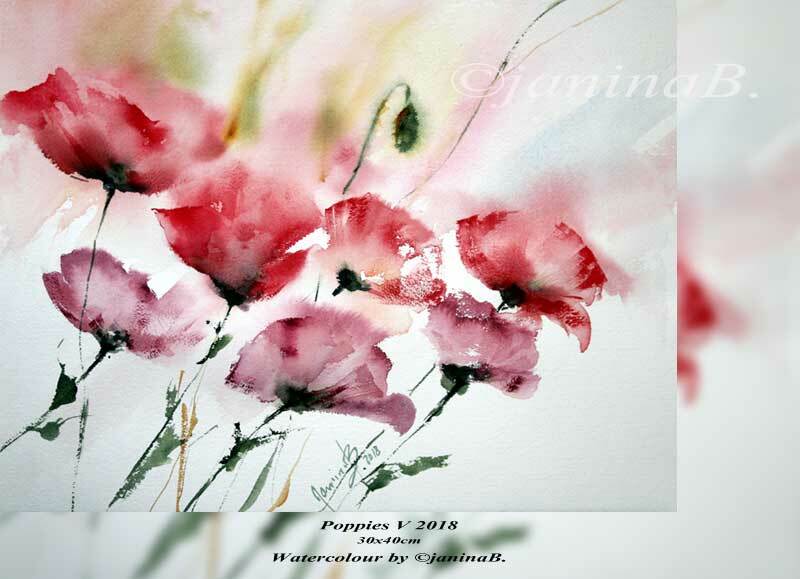 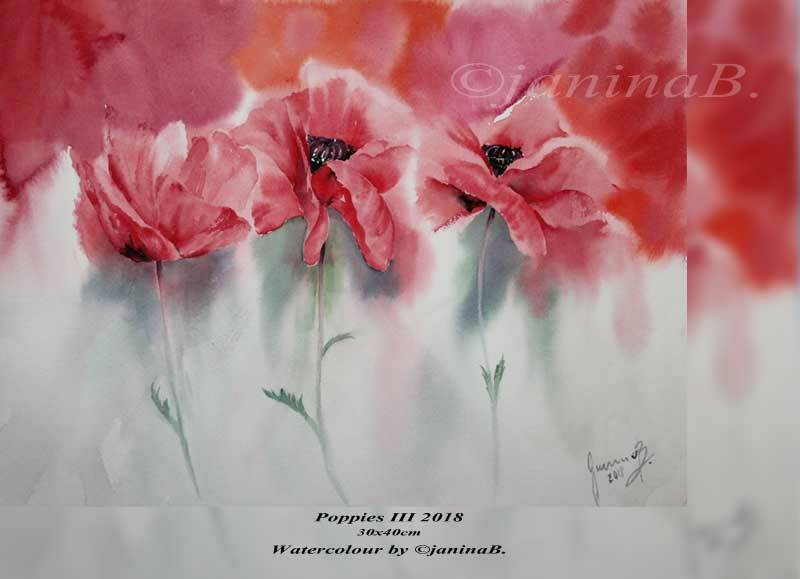 Poppies II 2018 / 28x37cm on Canson Heritage Watercolour by ©janinaB. 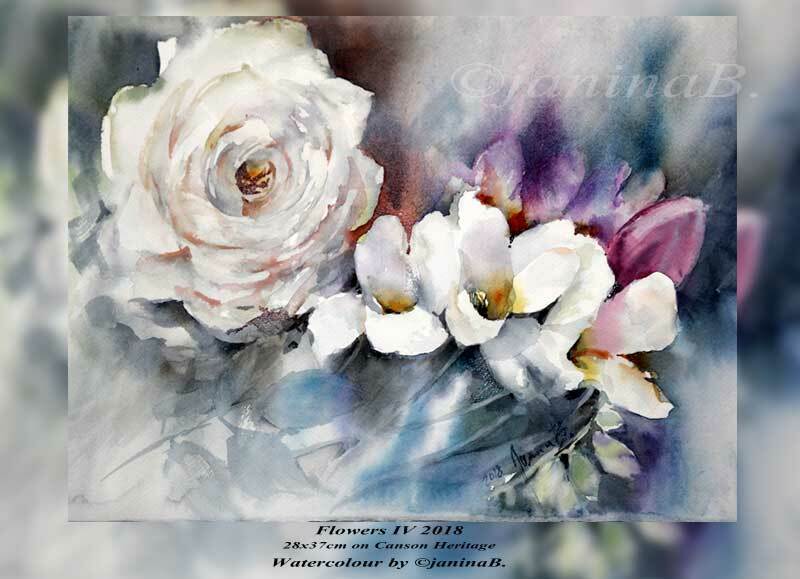 Flowers IV 2018 / 28x37cm on Canson Heritage Watercolour by ©janinaB. 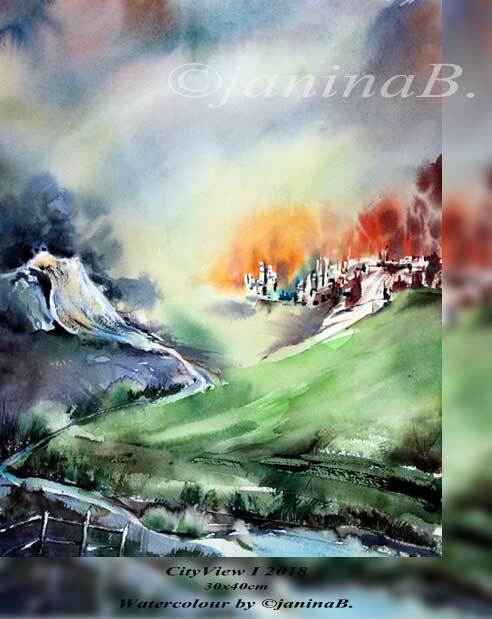 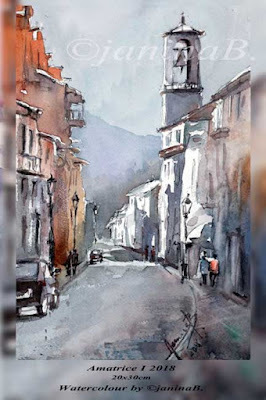 Amatrice I 2018 / 20x30cm Watercolour by ©janinaB. 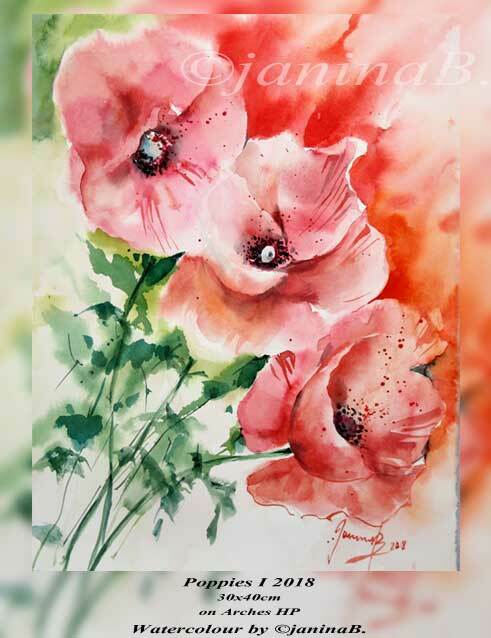 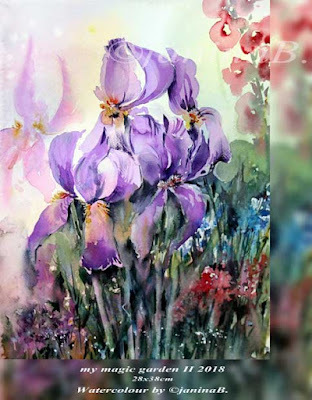 Poppies I 2018 / 30x40cm on Arches HP Watercolour by ©janinaB. 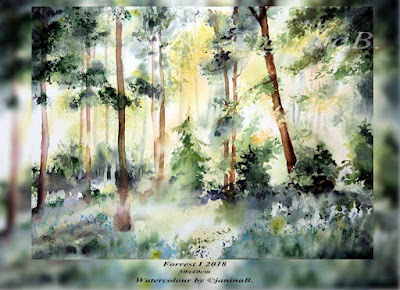 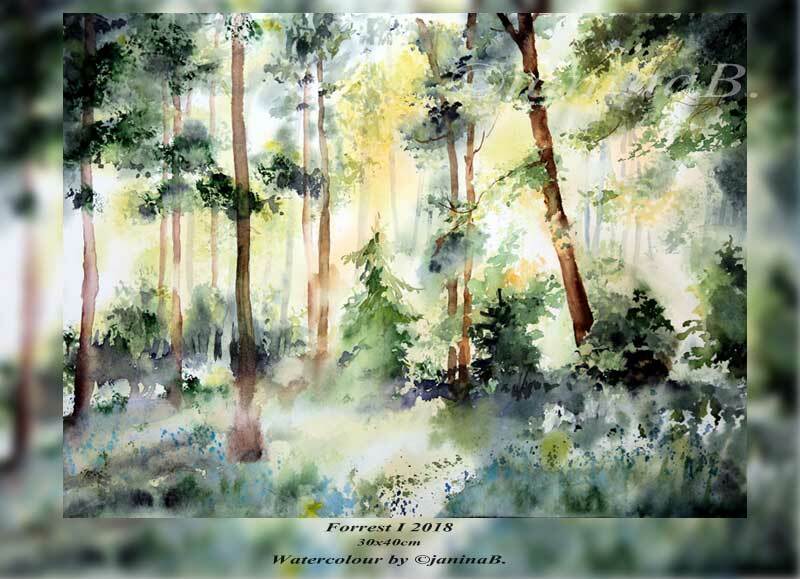 Forrest I 2018 / 30x40cm Watercolour by ©janinaB. 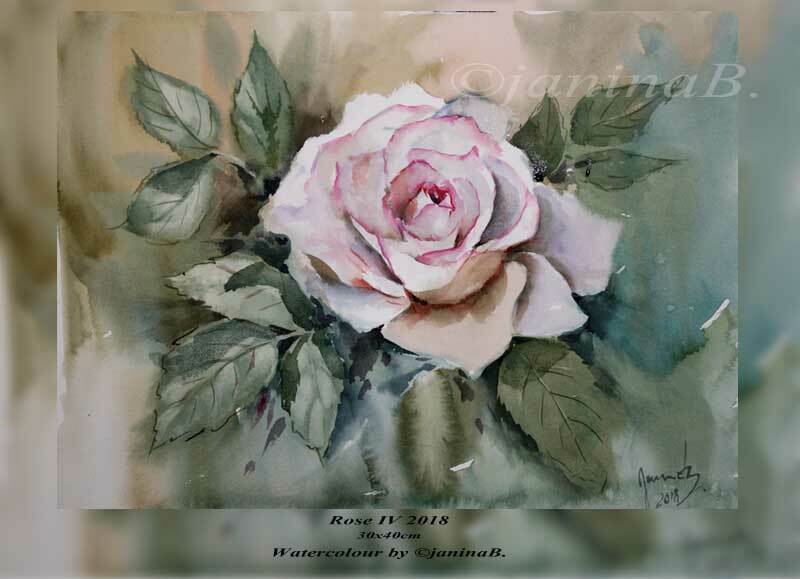 Rose IV 2018 / 30x40cm Watercolour by ©janinaB. 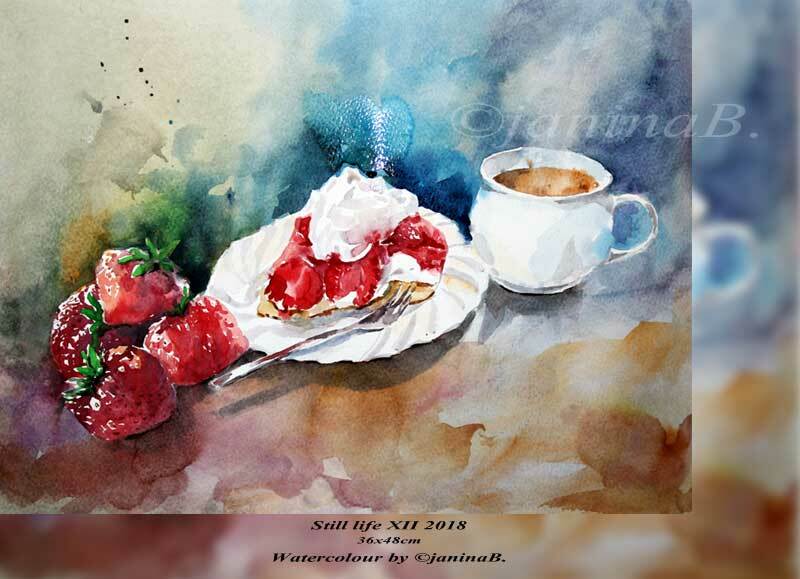 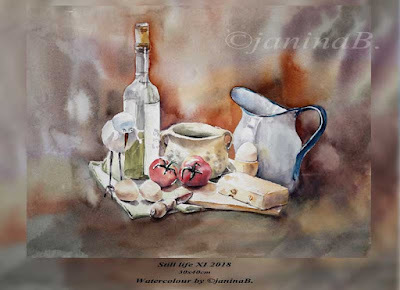 Still life XI 2018 / 30x40cm Watercolour by ©janinaB. 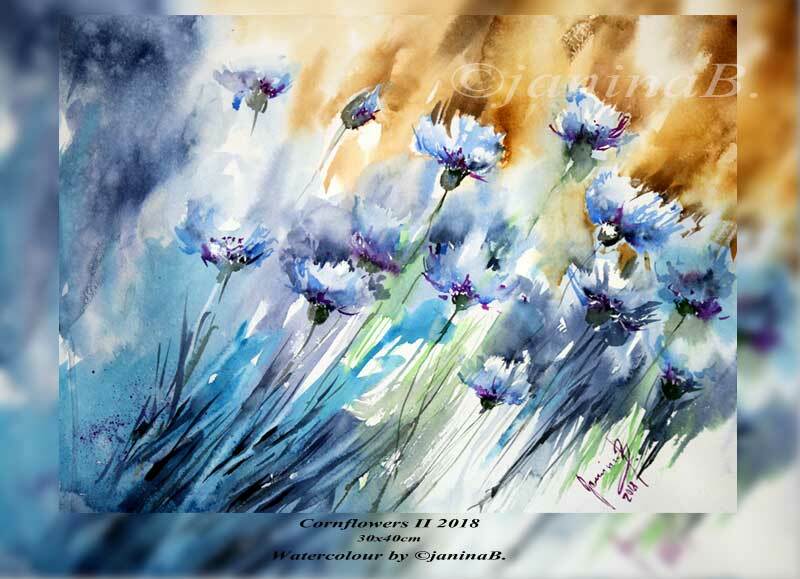 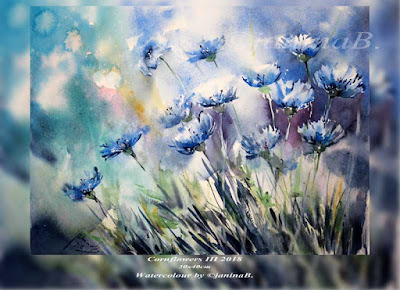 Cornflowers III 2018 / 30x40cm Watercolour by ©janinaB. Cornflowers II 2018 / 30x40cm Watercolour by ©janinaB. 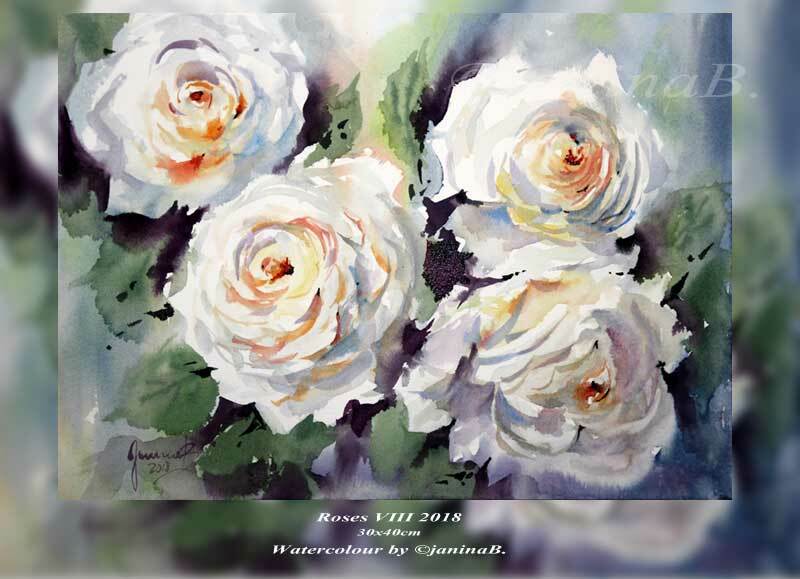 Roses VIII 2018 / 30x40cm Watercolour by ©janinaB. 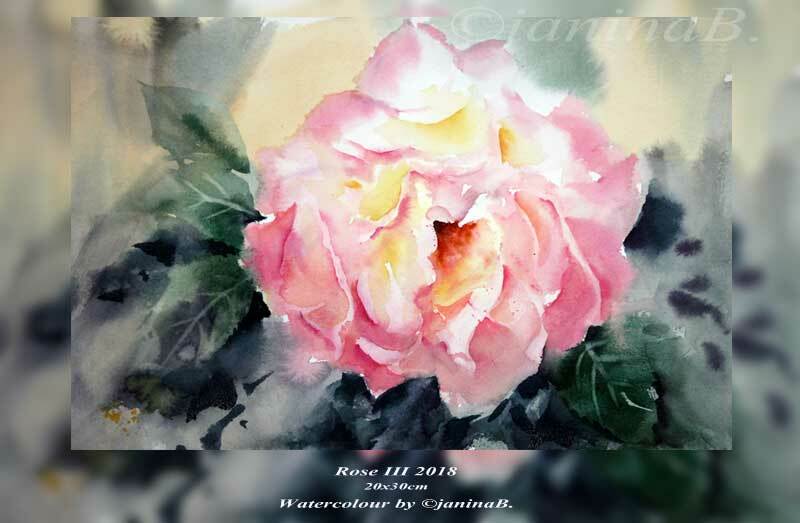 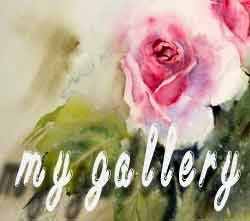 Rose III 2018 / 20x30cm Watercolour by ©janinaB.